their lives, their habits, their struggle, their traditions. The project was sold to a private collector. Thank you for your support in my craft, work, art and passion! Superb work! 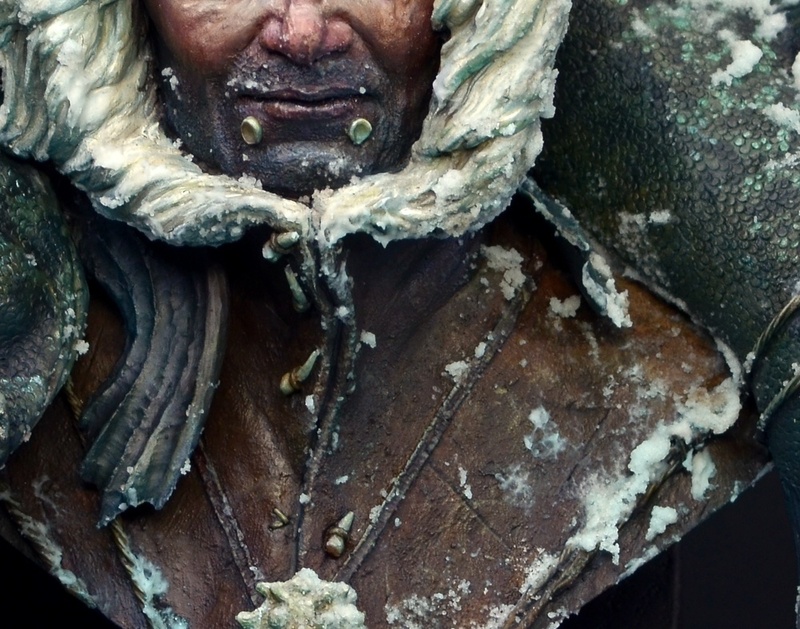 The choice of colors, different materials and snow effect really fit the scene for Eskimo. Look forward to seeing your SBS article on MV site very much! Hey Jason, thanks for your comment and vote. 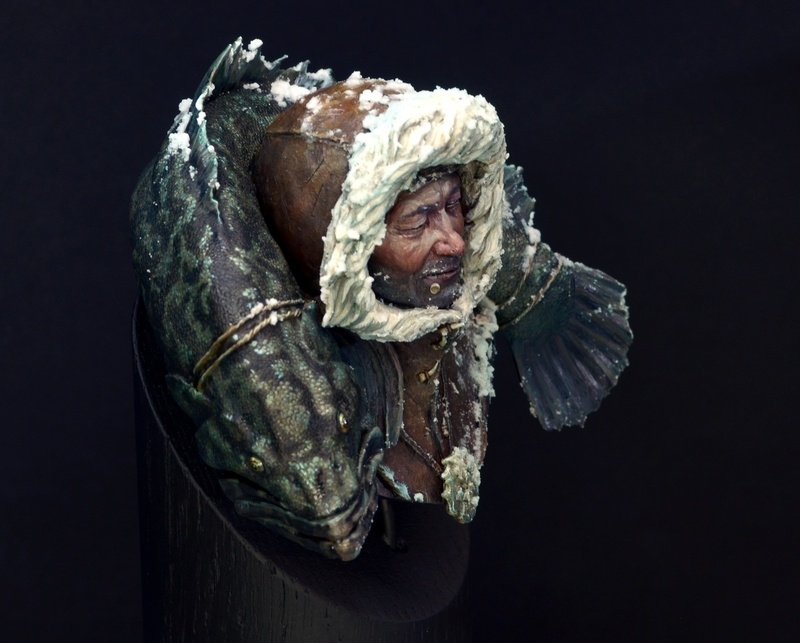 Really happy that you like the bust and what I have tried to achieve there. There will be a future article on MV and I am also looking forward to put my thoughts into it. Stay tuned! Deine Version gefällt mir richtig gut, Roman! Vor allem der Fisch ist super geworden!!! Danke, Michael. Freut mich, dass er gefällt, hatte deine Version oft als Inspiration zur Hand! Danke dafür! Very nice my friend, very nice! Thanks, Brian. Your comment makes me really happy! 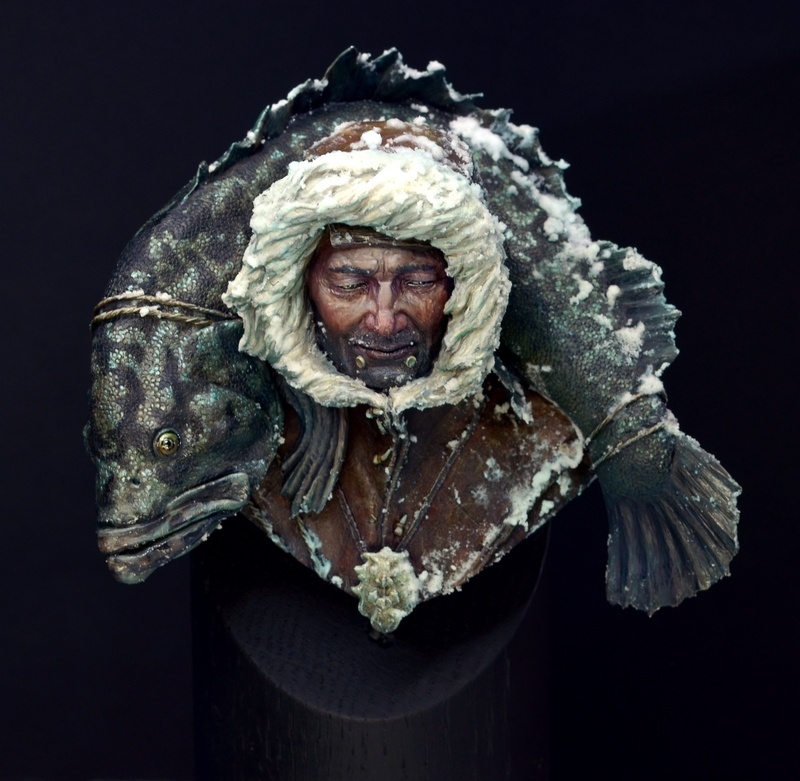 I love the painting of the Eskimo, the details and colours on the fish are awesome, the face wooow, its a real Roman work a work from a great artist. 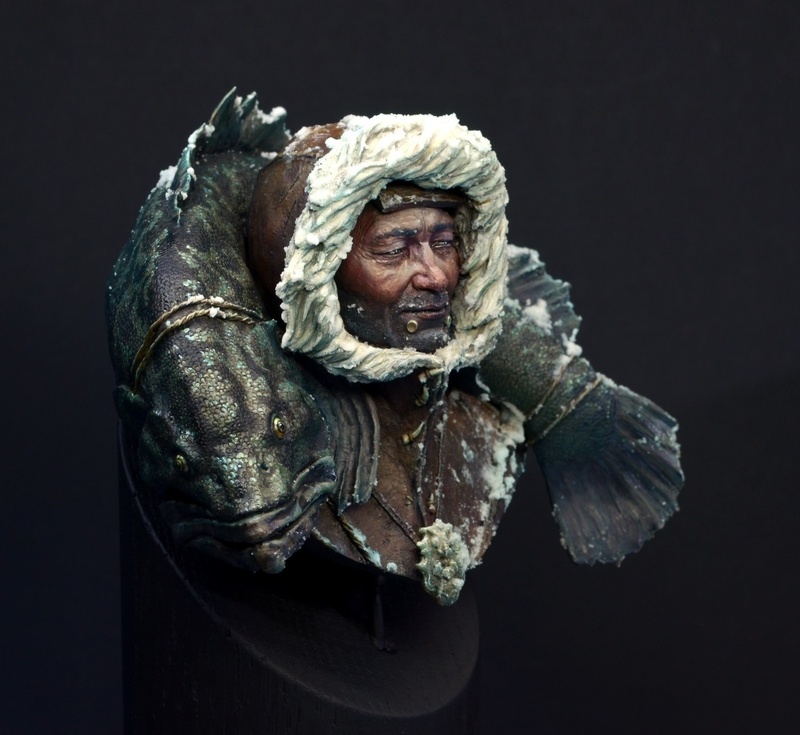 It’s these sculpts of that guy called Romain van den Bogeart that kind of matches perfectly to the way I paint. I feel it during the painting, truely awesome fun. Thanks, Sebastian, really appreciate your comment. ich mag diese Büste sehr. Besonders schön sind Dir die vielen kleinen Details gelungen. Die Wirkung ist sehr real. Ich hoffe diese Büste mal in echt irgendwann sehen zu können. Hey Sash, die Büste wird wohl noch einige Zeit in meinem Besitz sein und ich versuche sie hier und da im Gepäck zu haben. Danke für deinen Kommentar! Freut mich, wenn der Bursche überzeugen kann. More alive than real!!!! Perfect!! Excellent work, looking forward to MV article about this piece! Again: Nothing in this world is perfect, only time spent well ... so the time spent on this piece was perfect :) - Thanks, Uli! I tried, happy that you like it! Brilliant Roman… it’s so gorgeous. Dear Roman, I love the entire atmosphere. 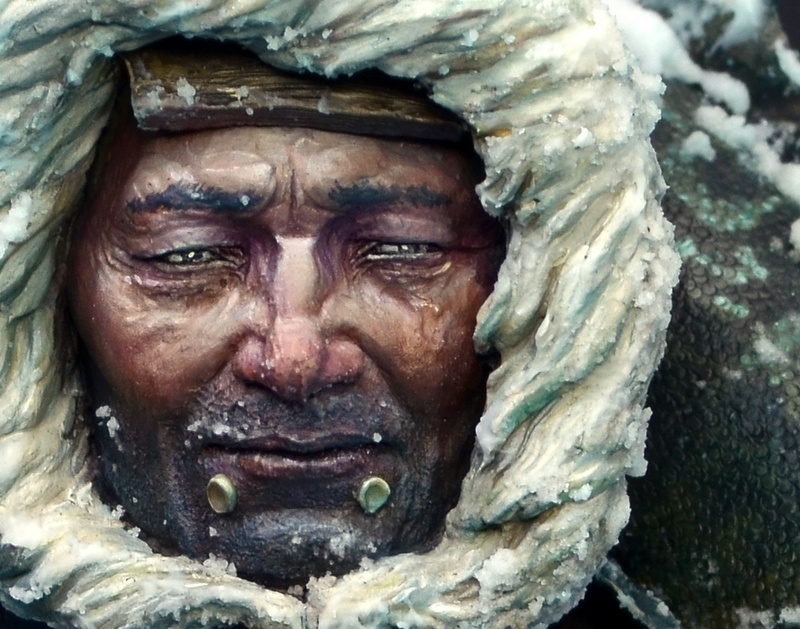 Cold environment and a face full of hard life experience! For me, one of your best! Fantastic work! 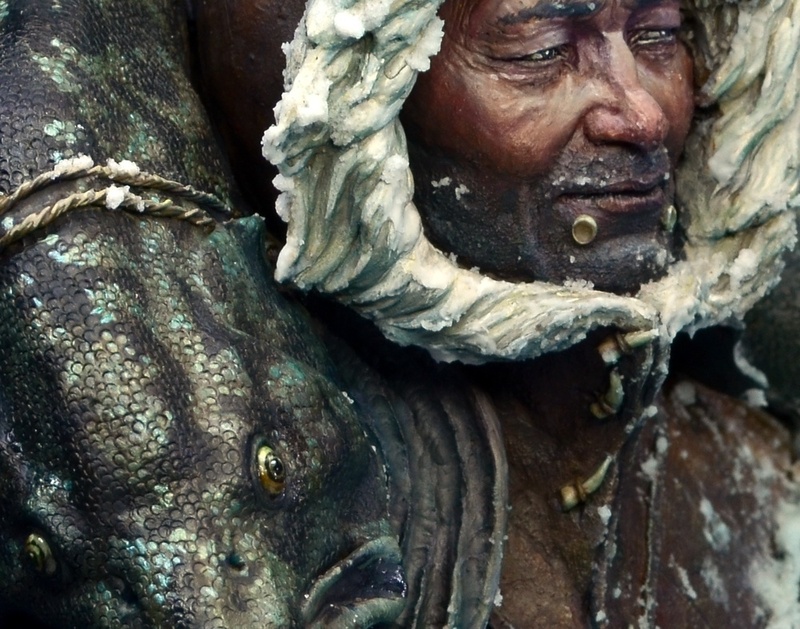 The sculpture is incredible and your paint matches it. Thank you, Milosh. 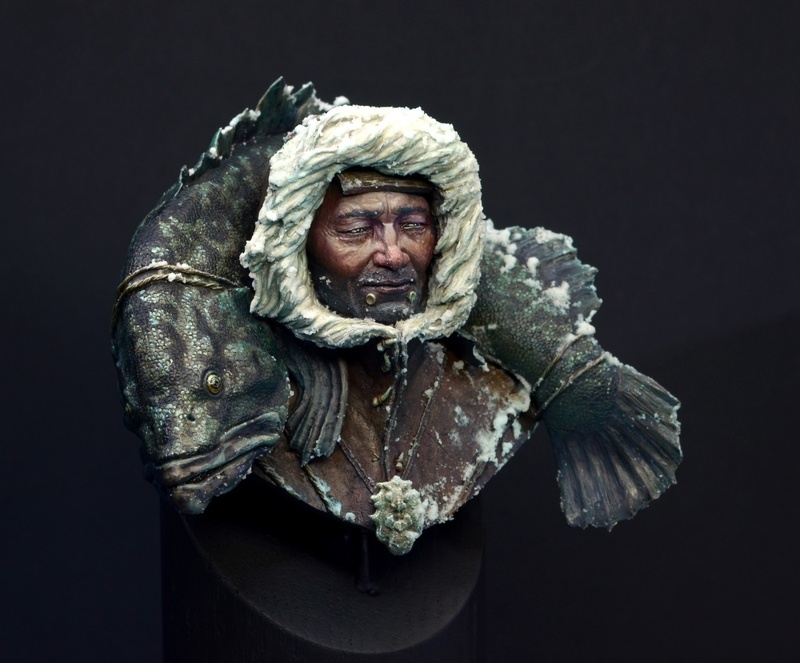 Indeed the sculpture is so awesome, happy that I could do it justice with my brushwork. Ooh-ooh-ooh! What are you doing with my eyes and mind !!! I just look at it and think how it was painted! Gorgeous and delicate job !!! Thank you, Sergey! Your words leave me speechless, really. You have a talent to capture the esence. Uhm, well, thank you Mister, happy to hear such from your tongue. Isn’t it all about the esence? I mean all of it? 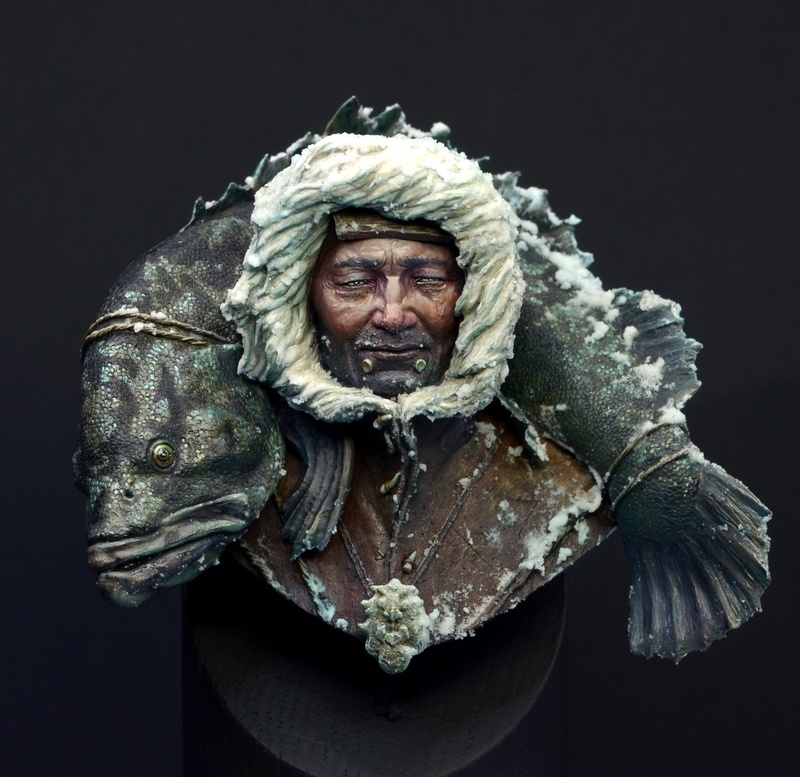 I love it the expression, textures, it makes me feel cold looking at the Eskimo…and hungry…that fish looks tasty! One of my favorite paintings I ever seen. You put so much to this character, and I can’t believe anyone could see this work and stay emotionless. I absolutely love your version. 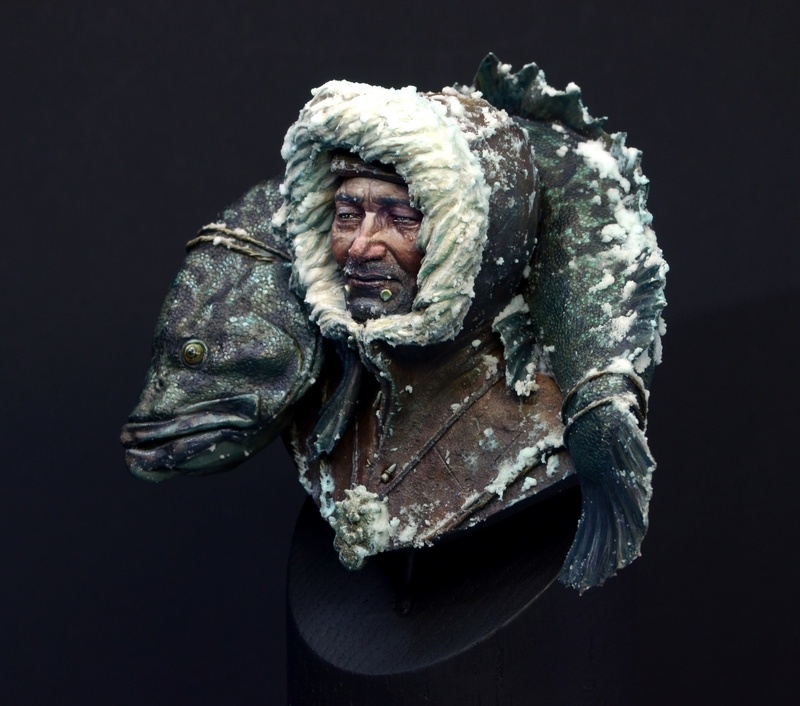 I am going to be painting it myself, as a gift for my parents as a thank you for inviting us to greenland this summer. Perfect!